At the end of a meeting, have you ever thought, “Wow, it was an awesome meeting with so many amazing ideas”, but only to have your ideas fade away a week later when you want to revisit them? Let’s face it, there are so many distractions in a day that people fade in and out during meetings, particularly meetings that are over an hour long. 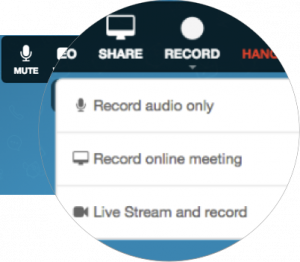 Fortunately, there is the option to record meetings held on your FreeConference account. There can be times where nothing seems to stick in your mind even if you are paying full attention. While making notes might help, not all of us are expert note-takers; when the meeting topics are too complex or there are is too much technical jargon involved, it can be hard to jot things down or make organized notes that are easy to understand. But rest assured, FreeConference.com has got you covered with our Conference Call Recording feature. 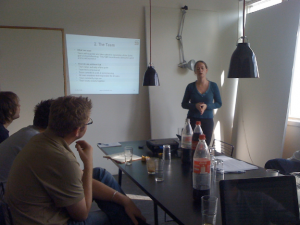 Feel like you’re zoning out of your meeting? Just record it, and play it back whenever you want! Of course, there are occasions at which having your meeting recorded can be helpful for your participants. For churches hosting prayer lines, bible studies, or sermons on FreeConference.com, you can record and share your meetings for those who are unable to attend. 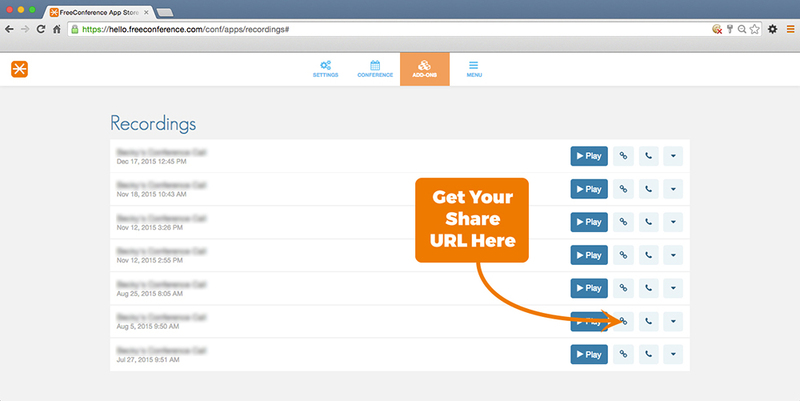 The recordings can also be shared on your website or social media feeds so you can spread the Word of God to a wider audience. For teachers, staff trainers and life coaches, links to the recordings can be emailed to your students and employees who missed a session, or even those who want to refer back to them to add more to their notes. For companies and organizations who require an exact transcription of their meetings, they can make use of the recordings for writing accurate reports or publishing meeting minutes. Our Call audio recording feature is available in all of our paid monthly plans which start at $9.99/month. If you want to record visual elements of your online meetings, video recording is now available as well with an upgrade to our $24.99/month ‘Plus’ and $34.99/month ‘Pro’ plans. Using the recording feature is simply and easy. For those on an internet video conference, simply hit the recording button on the top right of your screen and it will flash red to indicate the conference is being recorded. If you are hosting a meeting on the phone, make sure you are signed in as a moderator and hit *9 to start or pause a recording. If you are ever paranoid about forgetting to hit the recording button, you can set up the process automatically while you are scheduling your conference. There is no limit to the amount of recordings you can make and they are safely stored on your account. They can be found on your post-call summaries where they can be downloaded as a MP3 file for archival or for editing purposes, and even shared as a URL or as a dial-in number/access code. Add our Conference Call Recording on your FreeConference.com account to make the most of your meeting today! FEATURE UPDATE: Auto Transcription, Smart Summaries, and Video Recording Now Available! MAY 3, 2018: Recently, FreeConference has made its recording capabilities even better by adding two new and exciting features available with our premium monthly plans. With the introduction of auto transcripts by Cue™, it is now easier than ever to keep notes on what was discussed during your past conference calls. Using state-of-the-art speech recognition technology, Cue™ generates transcripts of your recorded calls which are emailed to you after your conference call in the form of Smart Summaries. In addition to unlimited call audio recording and, now, AI transcription, account holders subscribed to our ‘Plus’ and ‘Pro’ plans can now choose to record video of their online meetings— video conferencing and screen-sharing sessions can now be recorded and downloaded as mp4 files to access at any time!